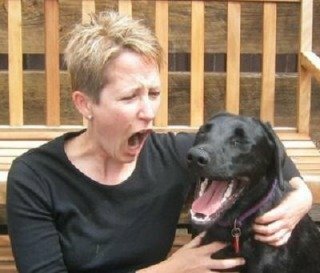 Lund University researchers established that at seven months dogs are capable of empathy with humans, enough to catch yawns from them. This, they found, is consistent with the relative time it takes a human child to develop such empathy with adult humans, at about four years of age. The researchers theorized that empathy may be a developmentally acquired behavior in both humans and animals, established with those that are emotionally close. But, as the team progressed in their research trials of 35 pet dogs, their owners, and the experimenters, what they found was that the dogs responded in much the same way to the yawns of the experimenters as they did to the yawns of the owners. This finding is directly contrary to the behavior of dogs and other animals in the wild, where yawns are contagious only among animals they bonded with.